We all grab inspiration here and there, sometimes we don't even realize it, we just tuck away an idea or thought. I'm hoping we can use this as a time of sharing our sources of inspiration and ideas. Whether it be a magazine, store, photo, person, designer, artist, blog or blogger, recipe, color etc. Let's share our specific ideas and projects for the season...and life. I know you all are so creative, I'm looking forward to seeing what's out there. What inspires and motivates your decor, lifestyle, business, purchases, plans...? Let's keep it simple, all you have to do is just share what's inspiring you at the moment...next week it will be something else! Let's make it fun and easy. And don't worry if someone else has the same idea. Make it personal, for you. to let others know about the fun. I'm all over it. Got the button on my sidebar. Can't wait, need something to look forward to! Looking forward to it ~ Buttons on my sidebar as well. What a wonderful idea! I will most certainly play along. I can't wait till Friday! I'm glad I found you. I am your newest follower. Sounds like fun! Can't wait to see some inspiration. Oh, what a wonderful idea! Looking forward to it! 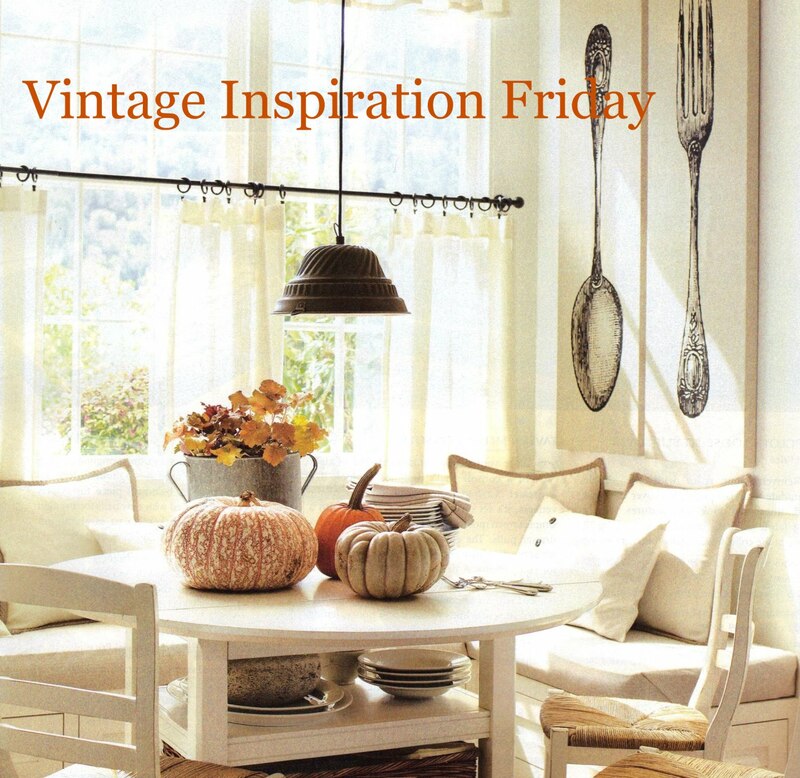 Love the button picture:) I can't see the first picture "source Pottery Barn"! Could be just my computer, nobody else mentioned not seeing it:) Have a blessed day my friend! I love it!! I will def try to take part! You always have the most clever ideas, Looking forward to your new link up. Thank you for the love today, I really needed it.